We’d love your help. 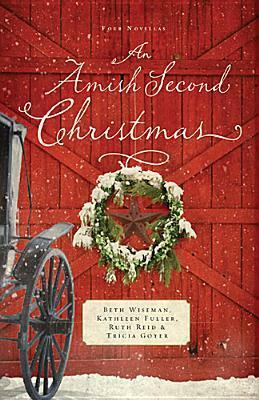 Let us know what’s wrong with this preview of An Amish Second Christmas by Beth Wiseman. WhenJoy Stolzfus s boyfriend tells her he wants to court other women, she s shocked.She pours her heart out in a letter, butit mistakenly reaches Noah Esh. The two begin writing letters back and forth, but a misunderstanding threatens to topple the relationship they re building. To ask other readers questions about An Amish Second Christmas, please sign up. I wanted something cozy and light for holiday reading and picked this from among the sea of Amish Christmas romance novella collections in Hoopla, since they are apparently a thing. When I give it 4 stars I'm not saying hey guys this is great literature but that it satisfies the requirement for what it is: chaste romance, powered by tight communities full of people who know everything about you, and delicious delicious baked goods. This was interesting be I wanted something cozy and light for holiday reading and picked this from among the sea of Amish Christmas romance novella collections in Hoopla, since they are apparently a thing. When I give it 4 stars I'm not saying hey guys this is great literature but that it satisfies the requirement for what it is: chaste romance, powered by tight communities full of people who know everything about you, and delicious delicious baked goods. This was interesting because it shows a family dealing with grief and an outsider connected to their father. Well, I'm a sucker for a good pen pal romance. The common thread through these 4 novellas is that each one includes the Amish custom of celebrating "Second Christmas", which is the day after Christmas, usually spent visiting friends, family, and neighbors. When Christmas Comes Again by Beth Wiseman is a bit different than your typical Amish story, as it does not focus on a romance; it is a story of a family reconciliation and healing. Her Christmas Pen Pal by Ruth Reid is a delightful story about a misdirected package with a letter, and the correspondence and friendship which develops as a result. In A Gift for Ann Marie by Kathleen Fuller, Anne Marie and Nathaniel, life long best friends will soon be separated when Anne Marie's widowed mother remarries and moves the family to a different state. They both struggle with feelings that their friendship has developed into something more, but will they have the courage to tell each other before it's too late? My favorite story was the last one, The Christmas Aprons by Tricia Goyer. Even though I am not Amish, I could relate to Esther, the main character, who struggles with shyness and low self esteem. When her mother finally shares her secret recipe for her famous vanilla pie with Esther to bake for an auction, the young man who buys it discovers just how special Esther is. This is a wonderful collection of holiday-themed stories that Amish fiction fans will love! I enjoyed each story and the characters in them. "When Christmas Comes Again" had a bit of a mystery and I loved the healing that the family went through as they showed compassion instead of holding on to past grudges. "Her Christmas Pen Pal" was a fun twist on You've Got Mail, and the romance was great! "A Gift for Anne Marie" is sweet story of friends who become more when they realize they will be separ This is a wonderful collection of holiday-themed stories that Amish fiction fans will love! I enjoyed each story and the characters in them. "When Christmas Comes Again" had a bit of a mystery and I loved the healing that the family went through as they showed compassion instead of holding on to past grudges. "Her Christmas Pen Pal" was a fun twist on You've Got Mail, and the romance was great! "A Gift for Anne Marie" is sweet story of friends who become more when they realize they will be separated. There are other conflicts besides the move, including a friend of Anne Marie's who decides to pursue Nathaniel. The friendship they share is lovely, but when new feelings begin to develop confusion and hesitation enters in and disrupts the harmony they had enjoyed. I love when friends fall in love since they have a great foundation and know each other so well. It was funny to see just how well Nathaniel knew Anne Marie and her moods. "The Christmas Aprons" shows how important community is and reaching out to make friends and share our talents. The romance in this one was especially lovely since Ammon helps Esther see that she is desirable and worthy of romantic love. My thoughts: When Christmas Comes Again wasn't technically a romance, though Katherine's oldest daughter has a beau. It was women's fiction. I enjoyed getting to know Katherine and hearing some of the details of her deceased husband's life--that he didn't even know. I enjoyed reading this story. Ms. Wiseman's writing talents shine with women's fiction. My thoughts: Oh, Her Christmas Pen Pal was a cute book. I totally loved Noah! He was a sweetheart. I appreciated that Joy learned to stand up for herself and that her brother-in-law listened to her somewhat. I felt this story was kind of unfinished, it just ended and nothing was resolved, but it was cute. My thoughts: Another sweet story, and a sigh of contentment when it ended. I loved getting to know this couple and so glad Ms. Fuller wrote this story. Very good. Anne Marie has some growing up to do, but with Nathaniel as her friend I'm sure she will. I didn't like the way Nathaniel mindlessly followed Anne Marie's friend, and glad he finally stood up for what he knew was right. My thoughts: Ah, sweet. I love Ms Goyer's Amish stories set in Montana and I enjoyed getting to know Ammon and Esther. Very sweet romance. I felt bad for Ammon. He has a lot on his plate. I hope to see more Amish books from Ms. Goyer. Please bear with me as I read this back in December before my husband’s passing so while I can say I thoroughly enjoyed these four novellas my memory is a bit rusty with all that has gone on these past few weeks. I’m a huge fan of all four authors and so I can’t tell you which you novella I enjoyed the most because of liking all of their writing when they work solo. If I were to read this again I know that Katherine’s story in “When Christmas Comes Again” due to the fact that she is a widow, and Please bear with me as I read this back in December before my husband’s passing so while I can say I thoroughly enjoyed these four novellas my memory is a bit rusty with all that has gone on these past few weeks. I’m a huge fan of all four authors and so I can’t tell you which you novella I enjoyed the most because of liking all of their writing when they work solo. If I were to read this again I know that Katherine’s story in “When Christmas Comes Again” due to the fact that she is a widow, and while she was moving toward a new romance I’m not, but the story now resonates with me as a mom of children without a husband. These are romance in theme and so that will be the overarching plot in all four of the novellas – finding love, losing it and finding it again – thankfully all the romance is tame and there is no strong physical descriptions of the romance between couples – there may have been a kiss or two but nothing that made me uncomfortable. Even though Christmas is over this book is a good one that would be fun to read anytime of the year – especially in the heat of summer when we look forward to some cooler weather! Of course there is nothing wrong with keeping the Christmas spirit alive all year round either – so just another excuse to pick up a great book by four very talented authors. This book also includes a reading group guide and several Old Order Amish recipes for your use and delight – I need to try some of the recipes although I’ll be substituting flax seed for the eggs. Overall, this was a delightful book and one that made a fast read and was so enjoyable that I would definitely recommend it to others. Very sweet, clean Christmas themed stories & romances. MY Review of When Christmas Comes Again: This book speaks of second chances, forgiveness, and love. I was truly touched by Katherine Zook and her children and when the identity of the mysterious Englischer is revealed, hearts will be moved. I know a great deal about learning to forgive myself and others. It is not always easy to do, but it opens our hearts to freedom. This novella had me in tears, happy tears, but tears none-the-less. It is a special 5 star Christmas novella and one that I believe readers will find special. When Joy Stolzfus' boyfriend tells her he wants to court other women, she is shocked.She pours her heart out in a letter, but it mistakenly reaches Noah Esh. The two begin writing letters back and forth, but a misunderstanding threatens to topple the relationship they're building. My Review of Her Christmas Pen Pal: This novella is so cute. I am sure that many readers have mailed packages and accidentally put a wrong number of portion of an address and when Noah receives the package of cookies Joy accidentally sent to him, things get very interesting. I had several pen pals as a young teenage girl, and was always thrilled to receive a letter or package from my special friend. This novella brought fond memories of that time for me. Reading about all the delicious treats that Joy created made me hungry to do some Christmas baking too. Readers will smile and laugh along with the characters in this 5 star novella. My Review of A Gift for Anne Marie: Anne Marie is naturally shocked to learn that her widowed mother is going to remarry and plans to move the entire family far away. I have had to move many times in my life and the most difficult was when we moved our young family from Virginia to Texas for seminary. I cried many tears and so I could relate to Anne Marie and her siblings' concerns and fears for moving. Leaving friends and all that is familiar is difficult. Her biggest fear is what will happen to her relationship with her boyfriend, Nathaniel. Readers will thrill at seeing how issues are resolved in this 5 star Christmas novella. My Review of The Christmas Aprons: Esther Glick is an amazing baker and people always love her homemade creations. Ammon is no exception when he wins the bid for her Vanilla Crumb pie at the bachelor auction to raise money for the fire department. Esther has a problem though, she worries about what people think of her. She does not think she fits in anywhere. I struggle with many of these same thoughts and so I could relate to Esther but it is a miserable way to live. It makes life lonely and uncertain. Read this 5 star Christmas novella to see what takes place to bring healing for Esther. This was a fun set of novellas to read, perfect for Amish fiction fans. These are sweet stories full of love, faith, and happy endings. They are quick reads, since the stories are novellas. However, each story was fully developed with interesting characters and plots. All four stories were good and it is hard to pick a favorite. There is light romance and a compelling, mysterious stranger in Beth Wiseman’s When Christmas Comes Again. This was a very unique and interesting story to start the colle This was a fun set of novellas to read, perfect for Amish fiction fans. These are sweet stories full of love, faith, and happy endings. They are quick reads, since the stories are novellas. However, each story was fully developed with interesting characters and plots. All four stories were good and it is hard to pick a favorite. There is light romance and a compelling, mysterious stranger in Beth Wiseman’s When Christmas Comes Again. This was a very unique and interesting story to start the collection. I really enjoyed Her Christmas Pen Pal by Ruth Reid. My heart ached for Joy as she tried to understand why her boyfriend was no longer interested in her. But God can use all things for good and that is definitely evident in this sweet story that is full of miscommunications and misunderstandings! Kathleen Fuller’s novella, A Gift for Anne Marie, is probably my favorite of the four. What a heartwarming story about two friends who could be more. I really liked both of these main characters. I admired the way Anne Marie tried her hardest to be happy for others, even when her own heart was breaking. The Christmas Aprons by Tricia Goyer rounds out this novella collection beautifully. Esther has a lot of growing to do in her understanding of love and community. Ammon is just the man to teach her. This is a sweet and uplifting story. All four novellas are able to stand alone. The stories are not connected together except for the fact that they all do involve the celebration of Second Christmas. This is a very nice collection. I received a complimentary copy of this book from the publisher, through NetGalley, in exchange for an honest review, which I have given. 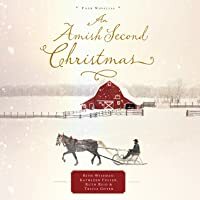 An Amish Second Christmas In When Christmas Comes Again, Kathleen and her four children are having their first Christmas without a love one. Kathleen starts to see an English man around the town. She receives a package at the door. There some photos in the box. There more to this story and quite a few twist and turns. There seems to be a mystery about this man. The man seem to know what or how some of the feeling of the family. Do they need help or will Kathleen mislead the what going on with he An Amish Second Christmas In When Christmas Comes Again, Kathleen and her four children are having their first Christmas without a love one. Kathleen starts to see an English man around the town. She receives a package at the door. There some photos in the box. There more to this story and quite a few twist and turns. There seems to be a mystery about this man. The man seem to know what or how some of the feeling of the family. Do they need help or will Kathleen mislead the what going on with her children? In Her Christmas Pen Pal, Joy has to deal with her boyfriend who want to see other women. She starts to write a letter to her cousin. Though it happens it sent to the wrong person. The mystery man writes back to Joy. The Cabinet maker and Joy send letter back and forth with each other. There are twist and turns in this story and has a good mystery in the story as well. Do Noah and Joy get together? This grandmother starts talking to Joy about her grandson. Will Joy find out that the woman was talking about? In A Gift for Anne Marie, Anne Marie wondering about the changes that are coming. She finds out about her mothers letters. When she does she finds out that her mother is getting re-married and they are moving. Anne Marie does not like it at all. She start to feel the changes between her and Nathaniel. Nathaniel does not like the fact that Annie Marie may be moving. Is there anything either can do about it? An Amish Second Christmas was a quick and enjoyable read. Some of the characters are centered in previous stories from these authors, and made it fun to come home. They all have a continuous theme of the Amish Christmas, the second one, and all have a little surprise to go along with the holiday. We travel to different communities with the Amish, so we are in various US states, but most of the traditions and religious aspects of these stories tie in beautifully. How would you feel if someone, you An Amish Second Christmas was a quick and enjoyable read. Some of the characters are centered in previous stories from these authors, and made it fun to come home. They all have a continuous theme of the Amish Christmas, the second one, and all have a little surprise to go along with the holiday. How would you feel if someone, you really didn’t know, started following you? Um…very uncomfortable, yes! This happens in one of the stories, and loved how one member after another found the same person. Coincidence? I think not. Then we have Joy and Henry, and you feel like you want to shove Henry. In the end, it was not our will but Gods, yes he knows what he is doing and we can try to be in charge, but not. In the third story, Gift for Anne Marie, was rather like you really don’t see what is in front of your face. It takes a real wake up call to make things right, yes and trust in God, with lots of prayer. In the last story we are back with the bachelors in Montana, and a new twist in the Second Christmas story. This one is based on a secret pie recipe, vanilla crumb, and how it ends up not being a secret. Love how all pull together here, and how we come to accept who we are, and what God’s will is for us. What a special treat to enjoy for this Christmas season, come and get lost in this one! When Christmas Comes Again by Beth Wiseman, though small in words, packed a big punch. I was laughing, enamored by James, and even shed a tear or two. Great storytelling to get you into the spirit of what Christmas is all about. Her Christmas Pen Pal by Ruth Reid, was such a cute story. I was wondering if the pen pals were ever going to come together and am glad I got the answer. Once I learned about the characters, the story happened exactly as I hoped it would go. A Gift For Anne Marie by Kathle When Christmas Comes Again by Beth Wiseman, though small in words, packed a big punch. I was laughing, enamored by James, and even shed a tear or two. Great storytelling to get you into the spirit of what Christmas is all about. A Gift For Anne Marie by Kathleen Fuller, is a super sweet story. I'm glad everything worked itself out in this story. Though I now realize the story was another way of showing that God has a plan for us all. I admit, I was worried it wouldn't turn out as it did, but gladly, I worried for nothing. I think Anne Marie and Nathaniel were meant to be and even they knew they would end up together eventually. The Christmas Aprons by Tricia Goyer, was sweet as pie! Esther and Ammon are the cutest couple ever. Right from the start, everyone, reader included, knows it is meant to be. The reader, the writer, the characters, the story, have symmetry. They flow together perfectly. The messages of faith and love are strongest in this story. Throughout it made me smile often. I love the meaning behind the apron. As I wear mine, it will carry more meaning. My first Christmas read for the season!! And it was pretty good. When Christmas Comes Again by Beth Wiseman left me a little melancholy and sad; not exactly what I want to feel at Christmas time. The weather is already cold and the days are shorter and I want something stirring in my heart that brings joy instead of grief. Her Christmas Pen Pal by Ruth Reid was a light read with a little sass and maybe a little too much confusion for me to settle in and not get aggravated with the characters. A Gi My first Christmas read for the season!! And it was pretty good. A Gift for Anne Marie by Kathleen Fuller was basically about two people discovering what everybody else already knows while reading the book. This is not usually a favorite of mine but since it was a short read I was able to finish it. The Christmas Aprons by Tricia Goyer was actually my favorite. I thought it was nice to read about a young lady who was portrayed as not being very beautiful. This was a open story; not what does she think or what does he think nonsense. It was just a nice Christmas read that completely fit the mood I need this time of year!!! Four stories by four different authors are all about Christmas. The stories don't seem to connect in any way except the Christmas theme. Each one is about second chances at Christmas time. I enjoyed each story. They were sweet, romantic (except for the first one), and brought out the real reason for Christmas. My only complaint with the first story was that it felt like it might have been a middle book in a series. There were several details that I felt I had missed and the book ended like anothe Four stories by four different authors are all about Christmas. The stories don't seem to connect in any way except the Christmas theme. Each one is about second chances at Christmas time. I enjoyed each story. They were sweet, romantic (except for the first one), and brought out the real reason for Christmas. My only complaint with the first story was that it felt like it might have been a middle book in a series. There were several details that I felt I had missed and the book ended like another book was following it. But it was still a nice and heartwarming story about forgiveness and family at Christmas. The second story was nice, but there were so many lies and miscommunication that I became frustrated with the two main characters. For a novella, I'd prefer something a bit less complicated. My favorite was the last two stories by Fuller and Goyer. They were great novellas without feeling rushed or incomplete when they ended. The characters were likeable and relatable, the romance was perfect and the stories ended well. All in all, it is the perfect Christmas book to read by a warm fire or to give as a gift. I love these books... the thread that binds all of the novellas in one binding. Thank you to whomever came up with the idea. I wish my family could embrace the concept of Second Christmas. Family day on Christmas and visiting the the next day would be wonderful. Overall, this collection of Christmas novellas was sweet and the messages were well written and thought out. I thoroughly enjoyed them. When Christmas Comes Again by Beth Wiseman is an Amish tale that will leave readers laughing, crying and falling in love. Christmas is a time for family. For the Amish, they have an event where it's just for family and their memories. I found it quite peaceful and enjoyable to read. A grandfather once left his family because of a crime he witnessed. No one knew why he left the Amish community nor was there time to explain. The danger was at hand. Leaving behind one's family so that they wouldn't When Christmas Comes Again by Beth Wiseman is an Amish tale that will leave readers laughing, crying and falling in love. Christmas is a time for family. For the Amish, they have an event where it's just for family and their memories. I found it quite peaceful and enjoyable to read. A grandfather once left his family because of a crime he witnessed. No one knew why he left the Amish community nor was there time to explain. The danger was at hand. Leaving behind one's family so that they wouldn't be in danger was a gift and a curse. A father never got to really know or be with his father...a wife who also died not knowing the truth. Now, the man's daughter-in-law and her kids are all that's left. Only time will tell if the family can find their peace and happiness. When Christmas Comes Again is beautifully written. Faith, courage, and hope are strong themes within this story. I was immediately swept up by the humor, sadness, and love. Beth Wiseman's writing is superb. Readers will never want to leave the fictional world in which she created. Highly entertaining, sweet, and full of Christianity. Overall, I highly recommend the story to all. Ruth Reid has created a warm and vibrant Christian read. Her Christmas Pen Pal is sad, sweet, and beautiful. The characters melt your heart in so many ways. The story swept me off me feet. I liked how both main characters were portrayed so realistically. The Amish world once again has been well-told. I enjoyed reading this book full of life, loss, and love. Overall, I highly recommend this to all. A Gift for Annie Marie by Kathleen Fuller is the third Amish tale inside this exciting book. I am amazed at how well-written the story was. Told in a way that leaves readers feeling all kinds of emotions. From happy to anger, to sad and eventually loved. A young Amish man and woman grew up as best friends. Nathaniel was and has been in love with his best friend for years. Just didn't realize it until she was about to leave him for good. Anne Marie loves being with Nathaniel. Always looks forward to their game nights on a Sunday. However, fate has plans in store for them both. But to complicate things, Anne Marie's pushy friend, Ruth, wants Anne Marie to get Nathaniel to go out with her. Only Nathaniel already has his heart, soul, and mind only on one woman. Anne Marie. It's obvious to everyone around them that the two best friends were meant to be...except neither one knows it until much later on...a sweet romance that lifts readers' spirits and takes them on an unforgettable journey. Kathleen Fuller in indeed a talented writer. Her words cause the deepest of emotions, to play across her readers' hearts and minds. I found myself completely lost within her tale. It's addictive. I fell in love with the characters and their journey of growth both as friends and as lovers. Overall, I highly recommend this story to all. A Gift for Anne Marie is a must read. Christmas Aprons by Tricia Goyer is the last and final Amish romance Christmas story inside this wonderful book. I loved the tale about delicious baking, hard work, friendship and most of all love. Tricia Goyer's characters leave readers blushing and laughing alone. There's plenty of fun and hope to fill readers' minds. I loved following both Ammon and Esther as they found what they were looking for in life. Their trust and faith in the Lord were inspiring. When things go wrong, they pray and hope for guidance, courage, and help. I couldn't help falling in love with the characters and their dilemmas. Super romantic, sweet, and heart melting. As Always I love Amish stories and this one didn't fail to meet my expectations. Four novellas by well known Amish writing authors. The stories had a real life feel to them, plenty enough Christmas feel, and kept me interested the whole way through. I really enjoyed this book! While it didn't give me all the "Christmas feels," it was an enjoyable read with likeable characters. If you’re looking for a simple, predictable, Christmas-themed, but cozy read for escapism, this just may be the book you’re looking for. Beautiful, heartwarming, and inspirational stories. A book containing four novellas by four different authors. Three of the four stories were very good. When Joy Stolzfus's boyfriend tells her he wants to court other women, she's shocked.She pours her heart out in a letter, but it mistakenly reaches Noah Esh. The two begin writing letters back and forth, but a misunderstanding threatens to topple the relationship they're building. Award-winning, bestselling author Beth Wiseman is best known for her Amish novels, but she has also written several successful contemporary novels, set primarily in her beloved Texas, including Need You Now and The House that Love Built. Both have received glowing reviews. Beth's The Promise is inspired by a true story. Website: www.bethwiseman.com Twitter: @bethwiseman Facebook: Fans-of-Beth-Wiseman. Losing a loved one is a pretty rough road and when the holidays strike it is a very difficult place to be. You learn very quickly how much the loss of a husband and father means to to Katherine and her four children with Elias now in Heaven. So many things that God does in this story to warm this family's hearts and some of those things come in the form of a most unlikely person. A surprise twist of fate changes Joy's life to include a friend by accident. Soon she is able to put her broken heart on the shelf and is open to love again in so many different ways. Noah is able to get her through some pretty tough times and as he does a love starts to blossom. Anne Marie is in for a shock and to top it all of her family is upended in several different ways that she isn't sure about. She fears so many things but her and Nathaniel's relationship seems to be in jeopardy and she doesn't want that to change or does she? Poor Esther lives a life of solitude because she feels that she isn't accepted by others. But soon everyone shows her through love and friendship just how much the truly do care for her. Ammon and Esther seem to strike up a friendship that has promising results as well. Hopefully, this will be a Christmas she will never forget. Christmas is the best time of the year and I absolutely love Christmas fiction. This is a really great sampler from 4 of the best writers of Amish fiction. On those cold, blustery days curl up in front of the fire and read this very warm, loving collection. An Amish Second Christmas is a collection of four novellas by Beth Wiseman, Kathleen Fuller, Ruth Reid, and Tricia Goyer. All the stories deal with Amish life, and the day after Christmas, which is a fun, social activity day, in the Amish world. This day after Christmas is known as Second Christmas, hence the title. Since I read this book in December, I enjoyed the holiday theme even more than usual. The four stories are light and easy to read. I am going to recommend An Amish Second Christmas for my own book club to read for next December. The first novella, When Christmas Comes Again by Beth Wiseman was a thriller, but not a scary thriller. The suspense was tempered by the safety of the Amish culture. An Englischer appears to be following Katherine. Katherine’s husband has recently died, so this stranger stalking her made for some unwanted stress. That is until he made himself known by giving Katherine pictures of her late husband, and a story that just couldn’t have been made up, or could it? Her Christmas Pen Pal by Ruth Reid was very original. I thought the story line different. Joy was a hard worker. She was such a hard worker that she didn’t have time to socialize. Her fiancé dumped her because she was too involved in her work. Her friends were her relatives, but since the family was struggling financially, everyone was working and trying to cope with the stresses of finances, family, farm, and work. Joy confided her thoughts and feelings to her cousin in a letter. Unfortunately, the letter was missent and Noah unknowingly read it. Although it didn’t take him long to figure out what had happened, he felt the need to write back to Joy and express what he thought about her situation. Well, they eventually become pen pals, and friends, but you need to read it yourself to enjoy the twists and turns, and of course the happy ending. A Gift for Anne Marie by Kathleen Fuller was a pleasant surprise. The mother was getting married, and this fact was a shock to her family, especially to Anne Marie. The father of the family had recently died. And Anne Marie’s mother was remarrying so soon! It’s time for Anne Marie, herself, to be married. And Anne Marie’s mother was remarrying! A stranger was stepping into her father’s place. This stranger was taking the family out of state to his farm. It’s a good thing Anne Marie’s best friend, Nathaniel, was there to support her. She couldn’t have understood and dealt with the shock of her mother remarrying were it not for him. Nathaniel was more than a good friend and he manages to surprise me, as well as Anne Marie. Don’t read The Christmas Aprons by Tricia Goyer on an empty stomach. The plot of this novella turns around a super fantastic vanilla crumb pie. This pie is so good, its recipe is a secret—until the end. (I bet more than one reader has made this recipe.) The pie was entered in a fund raiser. Only bachelors could bid on the pie. The winner of the bid, also won a date with the baker. That’s how Ester met Ammon. What’s funny is that neither one was looking to be married. Ester was only visiting to help out a relative. The same with Ammon, but his mother unfortunately had a stroke during the visit. He didn’t know what to do: stay and care for Mom, or go back and care for his farm. He chose his mother, which I thought very commendable. How a young man treats his mother speaks volumes about how he will treat his wife. Ester thinks like me; that’s why this novella was my favorite—the pie was good, too. Every single one of these novellas was an enjoyable read. I think they’re perfect for the busy season because they’re easy and quick. I learned about the Amish, too. I had never heard of a Second Christmas, before this. I also learned that the Amish are no different than I. This only proves that we really are all made in the image of God. Katherine Zook and her children will face the holidays for the first time this year without her husband and their father, Elias. She knows it will not be easy and has no idea how to lessen the hurt for her family. However a mysterious Englischer comes to town with photographs of her late husband and she has no idea how he came to have them, since the Amish don’t like to have their pictures taken. She befriends him by having coffee with him and finds there may be blessing in store for her and her family this Christmas in spite of their loss. This story shows that losing a loved one during the holidays is exceptionally hard, but if you put your trust and faith in God there will be something good come out of the sorrow. I found this to be a beautifully written story about family, love and faith. Joy Stolzfus expects Henry to propose to her, but instead he turns his affections to another woman because he feels Joy is ignoring him since she is single-handedly trying to keep her family’s bakery business from going under. It seems she has no time for him. In her despair she writes a ten-page letter to her cousin, only to have it mistakenly delivered to the wrong person….a cabinet maker, Noah Esh. He decides to respond to her letter, giving her advice about Henry and her baking. They continue to correspond back and forth which causes them to begin to have feelings for each other, but since they have never met…or have they, will they have a chance to explore their feelings and will Joy keep her family business from going under? This is a lovely story about trust, love and finding friendship in the most unusual way. It also shows that God has a way of providing what we need even if we don’t know we need it. Anne Marie Smucker feels life in general is pretty good, except she is confused about the changes in her relationship with Nathaniel. On top of that, she discovers her widowed mother has been keeping a secret…she has re-established a friendship with a widower that he knew a long time ago and they are getting married…. And…they will all be moving. Anne Marie has a difficult time adjusting to her mother’s upcoming wedding and to move. This is a sweet story about friends who could possibly become more. Anne Marie always tried to be happy for others even when she was hurting. This is a beautiful story of friendship, love, compromise and compassion. Esther Glick is single and afraid of what people will think of her, which causes her to feel like she does not fit in or belong. She loves to bake and bakes her signature Vanilla Crumb Pie for a bachelor auction to raise money for the local fire department. Little does she realize that the winning bidder also wins a date with the baker. Ammon Schwartz wins her pie and her. They become good friends. Will their friendship blossom into something more?? Where do the aprons fit into all of this? Those will be answered as you read the story of Esther and Ammon. This is a beautiful Christmas story of love and acceptance. This book is a compilation of several short novellas about the Amish written by four acclaimed authors. If you love reading about the life of the Amish this is a book you want to miss. It is a great book for the upcoming holidays. It is sure to put you in the holiday spirit. There is something about fall and the onset of cooler weather that makes me want to curl up with a blanket and a book. An Amish Second Christmas is the perfect book for doing just that. It consists of four novellas by some of the best Amish Fiction authors. Beth Wiseman, Ruth Reid, Kathleen Fuller and Tricia Goyer are all featured. Each story is centered around the Amish celebrated Second Christmas. Second Christmas is the day after Christmas and it is a continuous celebration of Christmas that There is something about fall and the onset of cooler weather that makes me want to curl up with a blanket and a book. An Amish Second Christmas is the perfect book for doing just that. It consists of four novellas by some of the best Amish Fiction authors. Beth Wiseman, Ruth Reid, Kathleen Fuller and Tricia Goyer are all featured. Each story is centered around the Amish celebrated Second Christmas. Second Christmas is the day after Christmas and it is a continuous celebration of Christmas that is spent with family and friends. The is a great book and I thoroughly enjoyed all four stories. They were heartwarming and well written. My favorite was When Christmas Comes Again by Beth Wiseman. It was different and not as predictable as a lot of fiction novels I have read. My second favorite was Her Christmas Pen Pal. I would of loved for this one to of been longer! When Christmas Comes Again by Beth Wiseman - Christmas is just around the corner and Katherine knows that it will be hard for her and her children. This will be their first Christmas without Elias their beloved husband/father. To add to the stress, a mysterious Englischer is following Katherine. He presents her with photographs of her late husband and her whole family. When she learns who this mystery man is she is in for a surprise and he blesses their family in ways unimaginable. Her Christmas Pen Pal by Ruth Reid - Ever since her parents died Joy has engulfed herself into the family business, a bakery that her parents started. Joy is expecting a proposal from Henry, but instead she finds him courting another woman. She writes a letter to her cousin that ends up in the wrong hands. A young cabinetmaker reads the 10 page letter and decides to write her back with his opinion. They become pen pals, but a lot of twists and turns keep them from coming together. A Gift for Anne Marie by Kathleen Fuller - Anne Marie and Nathaniel have always been best friends. When Anne Marie's mother decides to remarry in another state Anne Marie is devastated. How can she possible leave all her friends, but most importantly how can she leave Nathaniel. Soon Nathaniel and Anne Marie begin to realize that their feelings for each other are stronger than friendship...seems like everyone else new it all along. The Christmas Aprons by Tricia Goyer - Vanilla crumb pie has been Esther's mom's signature pie for decades. When Esther goes to help a family member she is called upon to help the town in a benefit for the fire department. Her mom shares the secret recipe for her vanilla crumb pie with Esther. What she thought was a simple dessert turns into something much more...bachelor bait! Book Summary:Celebrate Second Christmas, a treasured, lighthearted time of community, with four Amish romances. Review: I loved the cover! It was such a striking contrast of white and red. I enjoyed the entire book. out of the 4 I found only one of the stories slow to get into. I liked the characters in each book. For the most part they were fast reads and enjoyable. It was enjoyable to visit each story for Christmas and the fun of the season was present. I think that I liked ‘When Christmas Comes Again’ the best it was a moving story of family and mending broken relationships. It was not romantic in the man to woman relationship but it was full of love in restoring broken people. ‘Her Christmas pen pal’ was fun and I found Joy & Noah to be perfectly suited for each other throughout. Sadly poor Henry was not even that sympathetic to Joy’s needs or loss. ‘A Gift for Anne Marie’ was a nice sweet story with a few bumps in the road. The sweetest part was her mother finding new love after loosing her husband earlier in life. I liked the honesty of Nathaniel when it came to his changing feelings. A perfect life changing situation of friends becoming husband and wife. "An Amish Second Christmas" is a book with four wonderful novellas. Katherine knows this 1st Christmas without her husband will be hard on her and the children. But a mysterious Englisher shows up in town and she befriends him. Katherine's daughter Mary Carol also becomes friends with the Englisher unbeknownst to her mom. Soon this Englisher will become more then a stranger and a blessing to the family. I loved this story it was heart warming and a very "An Amish Second Christmas" is a book with four wonderful novellas. I loved this story it was heart warming and a very good read!! Joy is expecting a marriage proposal from Henry, but what she gets is heartbreak while seeing him with another woman. Joy writes a letter to her cousin, but it ends up in the wrong hands of a cabinetmaker. Soon they become Pen Pals, But the cabinetmaker meets Joy unexpectedly and does not tell her who he is. Joy and the cabinetmaker soon become friends and Joy starts to fall in love with him. Joy thinks she is in love with two different men, she soon finds out that they are the same man. This was an awesome read!! I loved the story and thought it was to funny! Ann Marie and Nathaniel have been best friends since childhood. Things are starting to evolve in ways everyone knew it would. Suddenly Ann Marie's mother surprises her children with wanting to remarry and move to another state. Ann Marie is torn inside, wanting her mom to be happy but yet she does not want to leave Nathaniel. Will Ann Marie decide between their love and friendship or her family? I thought this was a wonderful read!! Esther's mom is known for her wonderful Vanilla crumb pie. Ester has begged her mom for the recipe. Her mom does not want the recipe falling into others hands. The Amish community decides to have a silent auction by auctioning pies to the communities bachelors. Whomever wins the pies also has to sit and have a piece with the woman who made it. Ester bakes the vanilla crumb pie and enters it into the auction. No one seems to be putting their names down for her pie, then one handsome man does and he also puts in a hefty price for it. Will Easter's pie become bachelor bait and will it start a romance? I absolutely loved this story, I am a big Tricia Goyer fan!!! I would recommend this book to all Amish romance lovers!! Beth is the best-selling and award winning author of the Daughters of the Promise series - Plain Perfect, Plain Pursuit, Plain Promise, Plain Paradise, and Plain Proposal. She is co "I wish I had the time to review books and chat with you here, but my writing deadlines just don't allow it. Please like my Fans of Beth Wiseman Page on Facebook where I try to post any news and interact with readers." Beth is the best-selling and award winning author of the Daughters of the Promise series - Plain Perfect, Plain Pursuit, Plain Promise, Plain Paradise, and Plain Proposal. She is contracted with HarperCollins Christian Publishing. Her other series--the Land of Canaan Novels--begins with Seek Me With All Your Heart, then The Wonder of Your Love and now, His Love Endures Forever. Seek Me With All Your Heart is the first Amish fiction book selected as a Women of Faith novel in 2011. Beth has also written three contemporary Christian fiction novels, Need You Now published in 2012 and The House That Love Built in 2013. In The Promise, (2014) Beth jumps way outside the box. This story takes readers far away from Amish Country and small Texas towns to a dangerous place on the other side of the world. Inspired by a true story, Beth believes this is the book she’s been working toward for a long time. 2015 brings Beth back to the Pennsylvania Amish with her new series, Amish Secrets. She is currently working on book #2 following much success with book #1, Her Brother's Keeper.